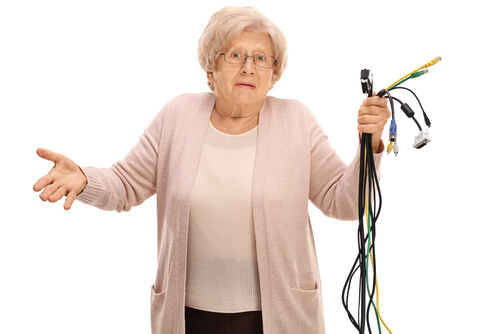 The thought of technologically savvy elderly is not as much of an oxymoron as one might think. Today the technology industry is booming, and they have their sights on our aging population. Wait a month and a dozen new devices, gadgets, mobile apps, software, etc. will appear. 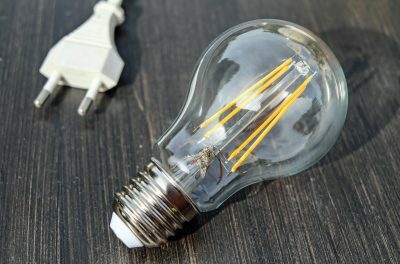 People all over the world are of thinking of ways to make life easier, smarter, and more efficient. Although our first instinct would be to equate innovation with the young, the elderly are a growing demographic of new tech users. As seniors age, they face new challenges and must learn to adapt to life’s changes. An old adage dictates, “you can’t teach an old dog a new trick.” But as we look at the real world, this couldn’t be further from the truth. Barbara Beskind, a part-time developer at IDEO in California’s Silicon Valley, is looking to target older generations with her new technologies. Beskind, ninety-one years young, believes much of the future of tech will revolve around the aged. It is people like her who are helping to break the status quo. Devices that improve the quality of life for the elderly can be empowering. They can provide a sense of security and allow users to focus on more important things, such as family and friendships. Let’s take a look at some the ways that technology is improving seniors’ lives. 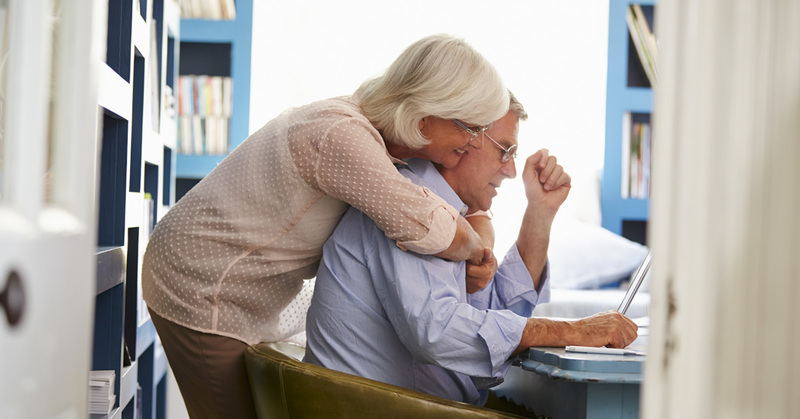 Technology can make staying at home a more plausible option for retirees. 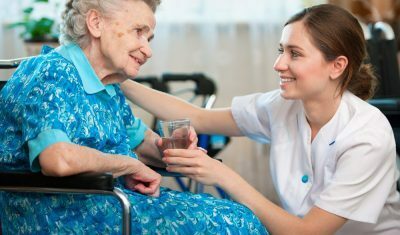 In the past five years, nursing homes have become more expensive while at home care has seen a massive increase in popularity. Besides this, AARP discovered that 90% of seniors wish to stay at home, rather than make the move to a retirement facility. Technology, it seems, is the key to helping them do so. Staying at home is not always the easiest option. For many seniors this means living alone, which can be stressful for them and their families. A mobile app called Carely was designed specifically for families to connect with loved ones regardless of distance. It makes communication simple and immediate. The app is completely free and compatible with most devices, so it is a great resource. Communication can be one of the more frustrating aspects of at home care, and Carely is one example of how technology is making it easier for everyone. 1-800-HOMECARE correspondent Caleb Schniepp reached out to some seniors in our network to ask how and why they use technology, if at all. He spoke with Ron and Kay, septuagenarians from the great state of Arizona, who say they use smartphones, tablets, and computers on a daily basis. Reasons include business communications, keeping in touch with their friends and family, sharing pictures and getting updates on what the family is up to. Youtube is important to them in educating themselves on a variety of topics. Using search engines are important to them to find out what is going on in the world and for finding answers to medical questions they may have. All of their reading materials are kept on their digital devices, including the news. Thanks to the increasing number of wireless devices available, sharing information and staying in touch has become easier, empowering seniors like never before. A device called Fitbit was designed as a tool to promote exercise and keep users informed about their own capabilities. In tandem with the Fitbit company’s computer program, users can set activity goals, keep track of distance/steps walked, body weight, and BMI. The device is small enough to fit into one’s pocket and connects wirelessly with a computer to access all the tools the Fitbit provides online. The goal is to keep users active to promote a healthy lifestyle and better quality of life. Independa, a system designed with the elderly in mind, is a multi-purpose program pre-installed into a TV. Their device networks with other mobile devices and allows the user to access messages, photos, live streaming videos, and personal reminders all on their TV. By using Wifi, Independa allows for video chats with friends and family, the sharing of photos, and the sending of messages. Important reminders can be set to notify users of when it is time to take medication, take out the dog, or go to a grandchild’s soccer match. Users can even send alerts in an emergency. Independa turns the television into an all-in-one communication system. Self-Driving Cars may forever change how Americans get around. We don’t have flying cars (yet), but we may soon have cars that can drive themselves. Companies like Google are developing driverless cars and actively testing them in cities across the U.S. We can expect to see them on the road very soon, although it is unclear when that will happen. A car able to safely drive passengers to their destinations with nothing more than a few pushes of a button would return to many of the elderly who have lost their driver’s licenses freedom of mobility and make roads safe for everyone. Motion-controlled video game consoles have become very popular as a form of indoor recreation and entertainment for all ages. These game systems allow seniors to participate in low-stress recreation, giving them the chance to stretch and move while having fun. Video games are also a great opportunity to bridge generational gaps. Grandma and grandpa can now join their grandkids in some friendly competition; no need to go to a gym or special facility. The tech and medical industries are also targeting longevity. Read about what they’re up to HERE. All of these technologies are not created or produced in the U.S., and for industries abroad there are strict international type approval requirements to make it to market. 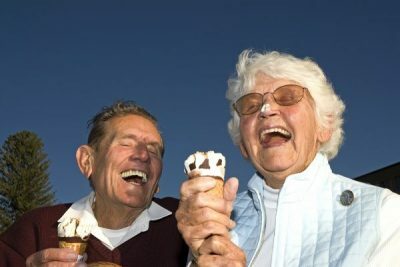 previous post: Are the Elderly Happier Than the Young? next post: How Will Überization Affect Home Health Care?